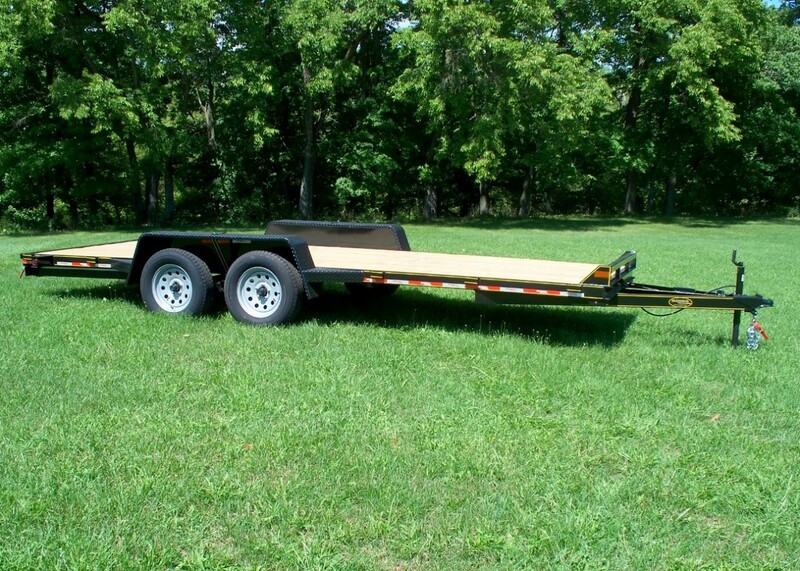 Empty Trailer Weight: 2050 lbs. 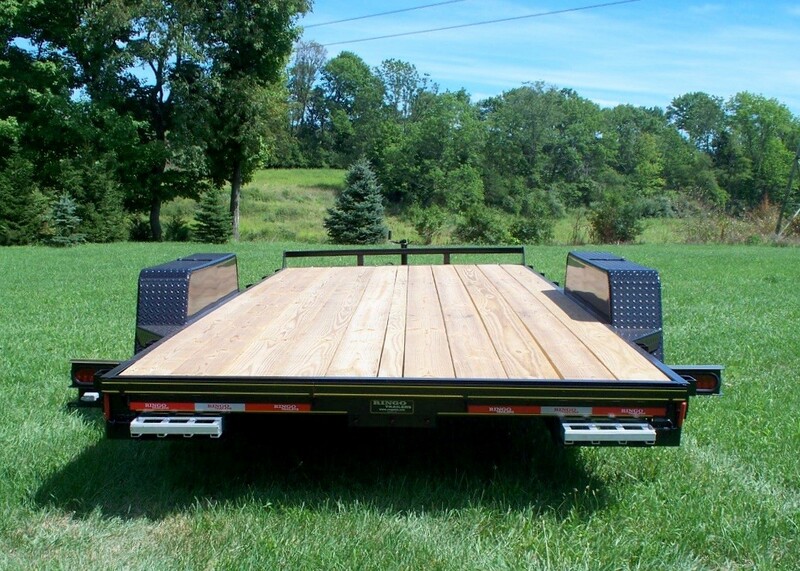 Cargo Should Not Exceed: 4950 lbs. 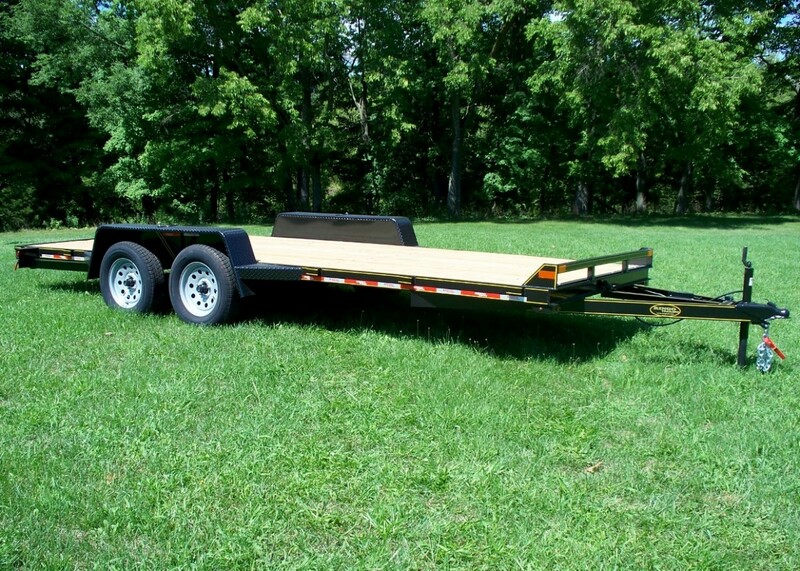 7 x 18 All Purpose Trailer 7,000 lbs. 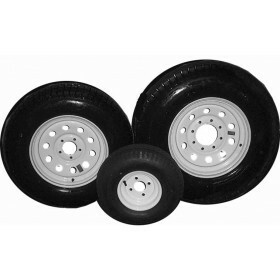 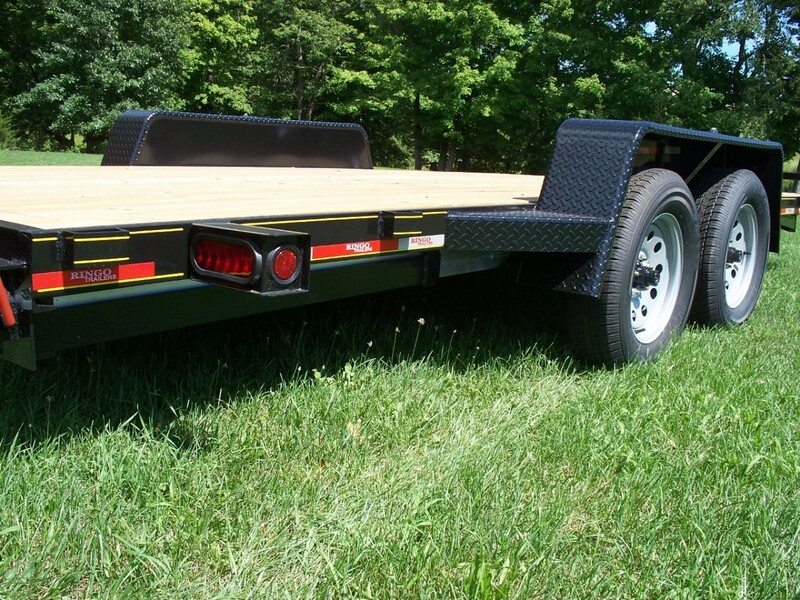 GVW with wood floor was manufactured by Ringo Trailers. 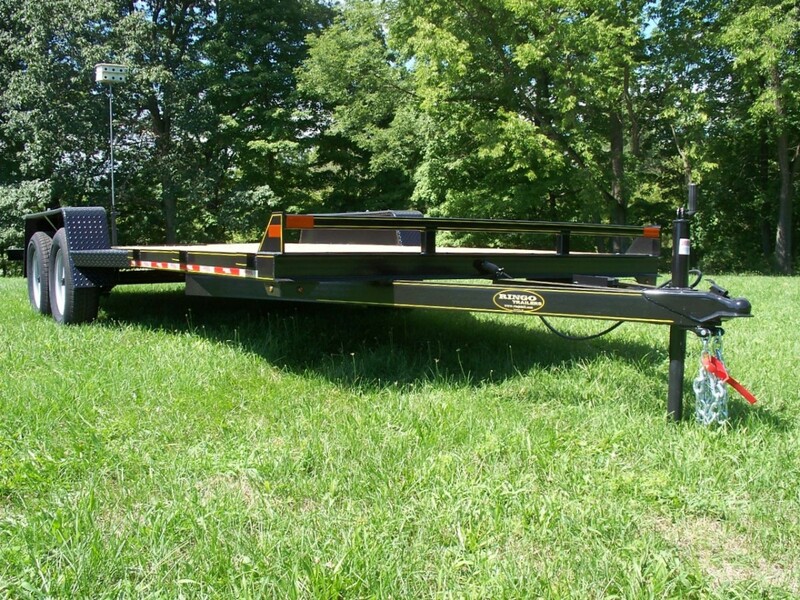 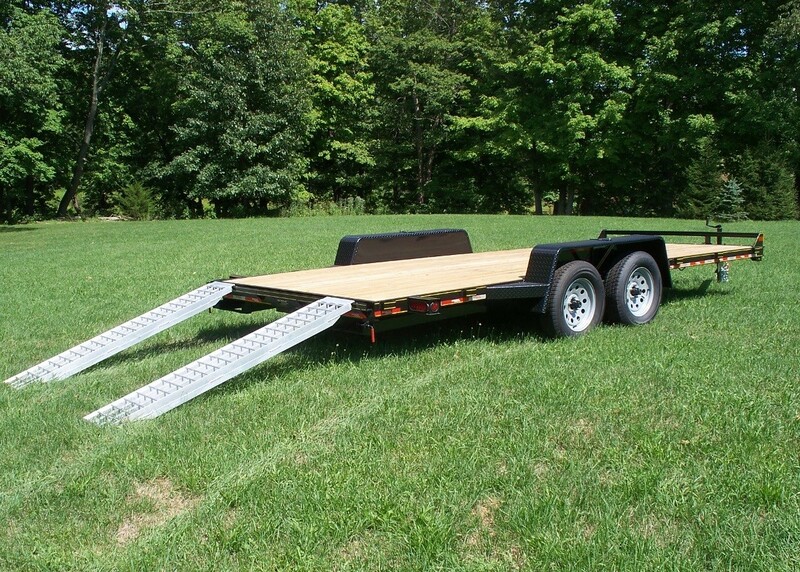 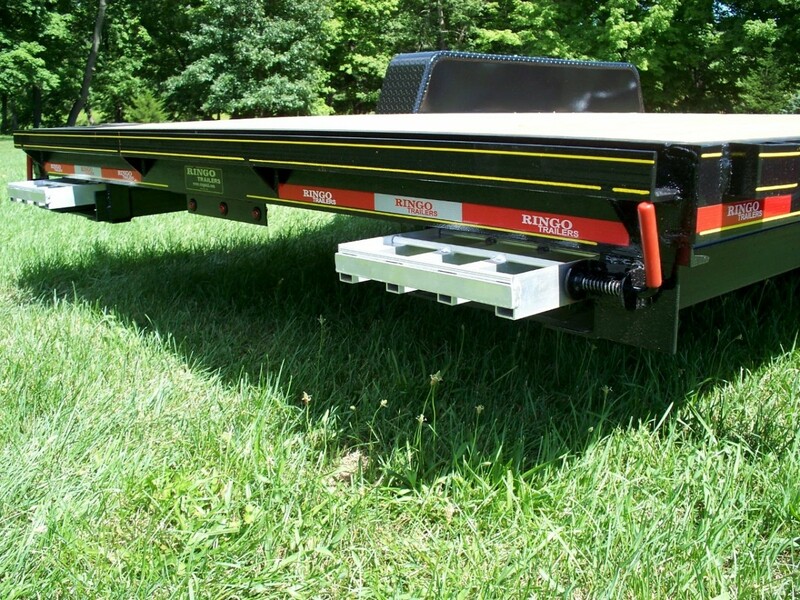 Trailer AP18-7 comes standard with the following features: safety chains, a LED lighting package, wood floor, a 5,000 lbs. 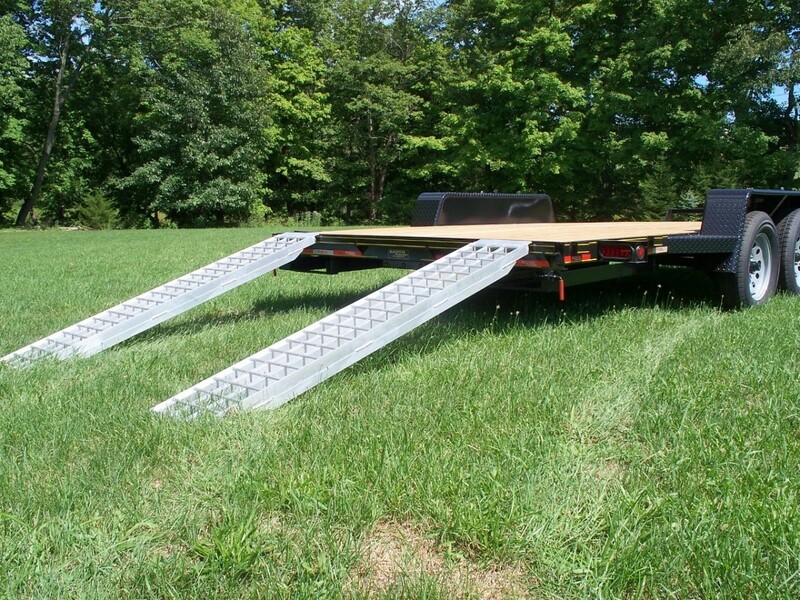 top wind jack, a 7 prong electrical plug, a break away kit with charger, rear slide out 72" ramps, and tied own stake pockets!